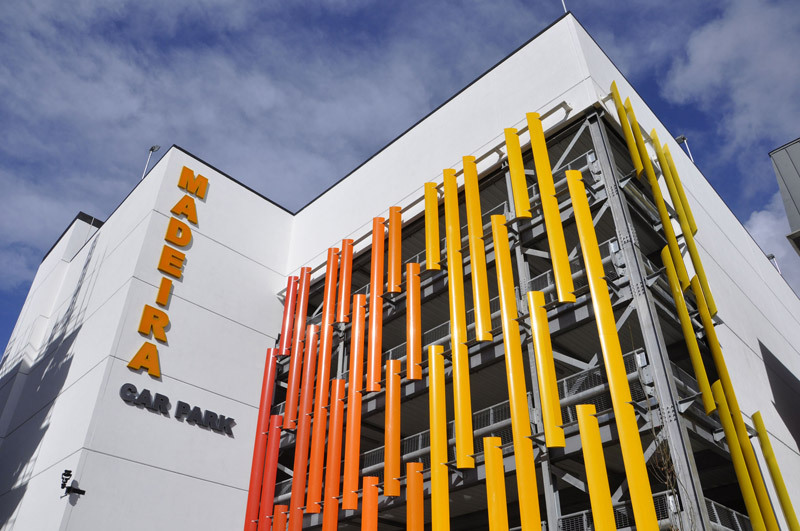 We have delivered two projects at Madeira Road featuring much needed student accommodation for Arts University Bournemouth (AUB) and a multi-storey public car park. 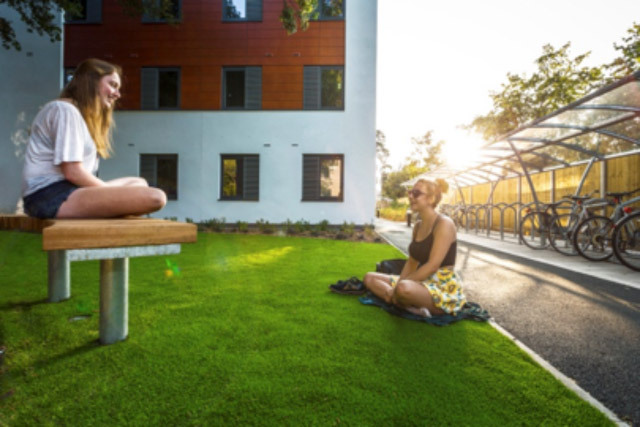 The three halls of residence for AUB ensure quality living spaces in the heart of the town for 378 students. 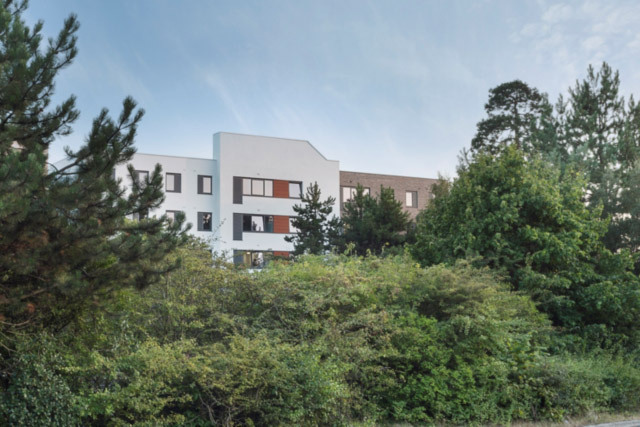 There are 61 separate flats for small groups of students plus four studio apartments. Just next to the accommodation is a 382-space multi-deck public car park operated by Bournemouth Council. It features an attractive series of large, bright aluminium ‘fins’ in eight graduating shades from pale yellow through to bright orange. 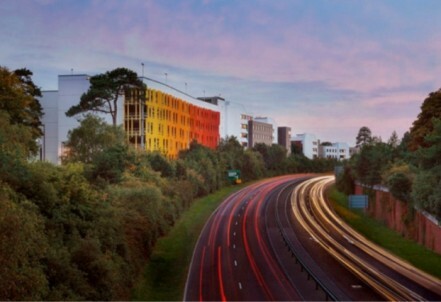 The student blocks rise from four to seven storeys and together with the car park have become prominent features on the skyline alongside the Wessex Way. The tallest block stands 70ft (21m) high.